We are blessed in that our location in north central Kansas is recognized as a wonderful, diverse wildlife area that harbors a variety of species. A small community located close to us was identified by Sports Afield as being the #2 ideal location to live in the U.S.A. for sportsmen. Several of the locally available species other than our ringneck pheasant are detailed in the selections below. Ringneck Ranch has seen great quail numbers for the last 3 seasons. Kansas as a whole has been the top quail hunting destination during those years and in some parts of the state has seen the best populations in 30 years. 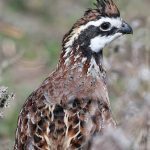 Bobwhite quail hunts during the traditional fall season running from November 10th through January 31st. A very limited number of native quail hunts are available year to year dependent upon current populations. The outlook for the 2018-2019 season is unclear, we had great number going into the winter and spring but the weather has prevented us from being able at this time to get a good evaluation. We are hoping to see a continuing positive trend and we will have a better idea of quail densities after the hatching season. We will discourage quail hunts in years that populations do not warrant. For safety reason we have a two hunter/guide max and 8 bird limit/person. Call the Ranch and talk to Avery for more details as these hunts are only available on select dates. If you book a pheasant hunt See our special rates for a Prairie Chicken shoot add-on. The Greater Kansas Prairie Chicken is a unique grouse species that have successfully been reestablished the last 30 years in their ancestral habitat of the native grasslands of North Central Kansas. 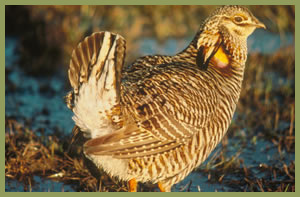 Greater prairie chickens are commonly found in the Flint Hills of eastern Kansas and the Smokey Hills of central Kansas. Ringneck Ranch offers a unique “guaranteed shot” prairie chicken hunt that is typically most productive starting mid-December through the end of the season on January 31st. If we do our homework, we have been very successful in getting a “shot” for our guest. The “chickens” move high and fast and most have been shot behind. Plan to be in position mid-afternoon for the evening feed. They also move at first light, but you’ll miss breakfast. Prairie chicken regular season runs the third Saturday in November through January with a bag limit of 2 per day. “Semi Guided” : Includes lodging, continental breakfast, morning and evening sessions, field transportation, bird cleaning and processing, and supper. The daily bag limit is 2. September 1st is the fall opener for dove shoots at Ringneck Ranch. Pasture ponds and early sunflowers are where we find the action. Bring your fishing pole for a relaxing mid-day activity. First cool front and moisture and the doves are headed south! 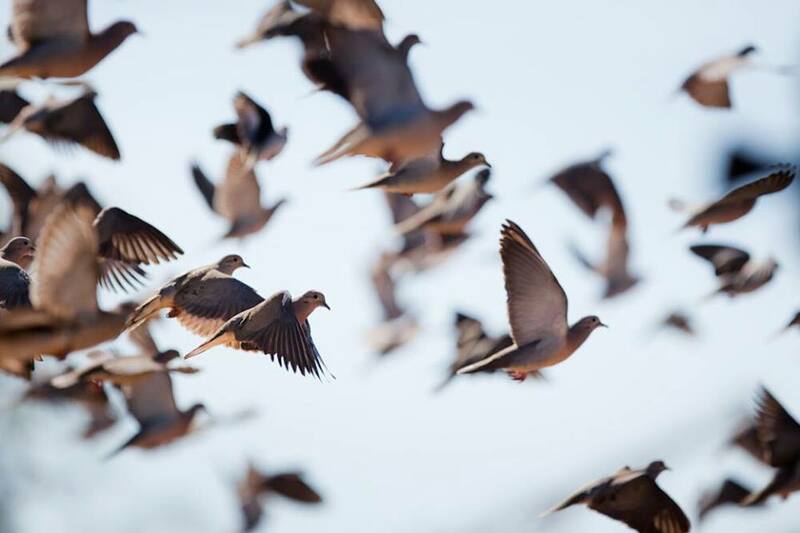 “Guided” Dove Shoot: Includes lodging, continental breakfast, morning and evening sessions, guide with dog, field transportation, bird cleaning and processing. The daily limit on dove is 15 dove/day with a possession limit of 45. Lunch and supper will be on your own. Group with less than 4 guest will have an additional $200 small group fee. “NO SERVICE” Dove Shoot: Includes morning and evening sessions. We will show you where to hunt. All meals will be on your own. The daily limit on dove is 15 dove/day with a possession limit of 45. If lodging is all you are looking for to compliment your hunt, that can be arranged for an additional fee of $79 per guest, based on double occupancy. *Dove shoots require at least a Controlled Shooting Area License ($27.50). A Kansas Resident license ($27.50) or Non-Resident license ($97.50) will be required if the shooters leave the Ringneck Ranch Controlled Shooting Area. Also a HIP stamp is required. Licenses and HIP stamps may be purchased at the ranch. Please keep in mind that hunters born after 7/1/57 must attest to completion of any state-approved hunter safety course to purchase a resident or non-resident license. Prices are per person based on the number of guests in your reservation. You may book one or more days. Prices subject to change prior to receipt of deposit of $100 per guest per day. Deposits nonrefundable with less than sixty days notice. 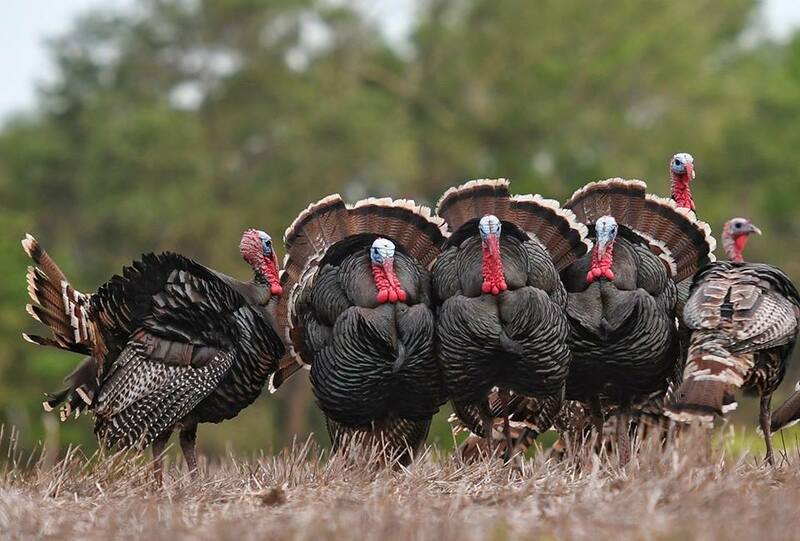 Turkey Hunts – we have been offering spring turkey hunts since 2011. With staff that have the expertise, we have been 100% successful in harvesting our guests their turkeys! A few that have tried to fill a 2nd tag have fallen victim to missed opportunities, and that’s just turkey hunting. Our turkey populations consist of Rio Grandes, with a few Easterns and hybrids in the mix. Turkey hunts are conducted with fewer services than we normally provide during upland season. We provide an early hearty continental breakfast, lunch at either of two local restaurants and supper is on your own. In the middle of the day, you are welcome to take advantage of our many pasture fishing ponds. Guided Turkey Hunt – Three Days/Two Nights with breakfast, lunch & excellent onsite accommodations. You purchase your hunting license and turkey permits (online or at the ranch). Properties are in Unit Three. Transportation to and from the field is provided. Eye protection is required. Bag limit two turkeys. 50% nonrefundable deposit required within seven days of reservation. Kansas is home to two subspecies of wild turkeys, the Rio Grande and the Eastern. The Rio Grande is a plains dweller and can be found in the western three-fourths of the state. Rio Grande turkeys roost in riparian timber and tree belts, and forage in open grasslands or crop field edges. Said to be the easier of the two subspecies to hunt, Rio Grandes tend to use open areas that make their keen eyesight a major obstacle for hunters. The eastern turkey prefers timbered areas in the eastern fourth of Kansas. It has a reputation as the more difficult subspecies to hunt due to wariness and the thick cover it prefers.